There should be a better way for niche or technical improvements to accounting policy to be considered and incorporated in the SORP. Just before Christmas the Charity Commission published its findings on Charity Reserves. Although 92% of the charities sampled explained their Reserves Policy and 90% explained why they were being held, a third of charities failed to disclose the actual level calculated in accordance with the Commission’s guidelines. There will be several reasons for this lapse but an underlying one is that there is confusion about what people think ‘charity reserves’ mean. At a simple level there were differences between the Commission’s definition (in CC19) and the SORP definition which charities follow when preparing their accounts. At a more fundamental level there is real confusion amongst users. The formal definition of reserves excludes illiquid assets such as the property the charity uses in its work (which suggests the focus is in part on liquidity) but investment property is included which suggests it is not. To many a charity’s reserves will be Trustees’ long term policy of what they feel is the right size of cushion to underpin their long term charitable purpose. The problem for the Commission is surely that they are pulled in two different directions – some charities keep far too much, and some (Kid’s Company is the usual suspect) keep far too little. These are difficult aims to reconcile in one formula. Focussing on liquidity suggests that charity Balance Sheets can never reshape themselves into something more efficient, and arcane calculations undermine efforts to allocate more reserves to beneficiaries. Reserve levels in charities are a complete substitute for the profit line in commercial companies. Finance Directors should drive their organisations based on long term reserve planning. Unlike a business, in a charity a profit or loss only matters in the context of its reserves. Do we currently have sufficient cash to pay our bills as they fall due? In accounting terms are we fully solvent? How large a reserve to we want to keep, and for what purpose? As a follow-up to our recent blog on ESG investing we note that the government in Canada has announced the legalisation of cannabis for all uses. Meanwhile in the UK the drug is still illegal, but specialist clinicians will be able to legally prescribe cannabis-derived medicinal products to patients with exceptional clinical need. So how does this sit within the investment debate over Ethical, Social and Governance investing? The leading Canadian company to get onboard the marijuana puff is called Canopy Growth Corporation. It is the first Canadian cannabis grower to debut on the New York Stock Exchange with a valuation of more than US$10 billion. Putting this into perspective, Canopy is now worth more than Canadian company Bombardier, one of the largest global aerospace businesses and manufacturers of many trains in the UK. Like ‘dotcom’ and ‘bitcon’ before, is cannabis the next tulip bubble and how should charities approach this possible investment? Ethically, there has been significant clinical evidence to support the legalisation of cannabis as a treatment of many medical and psychotic problems. Socially, despite the health benefits, marijuana is illegal in the UK and many other countries. Campaigners highlight its link to violent behaviour and serious mental health problems. 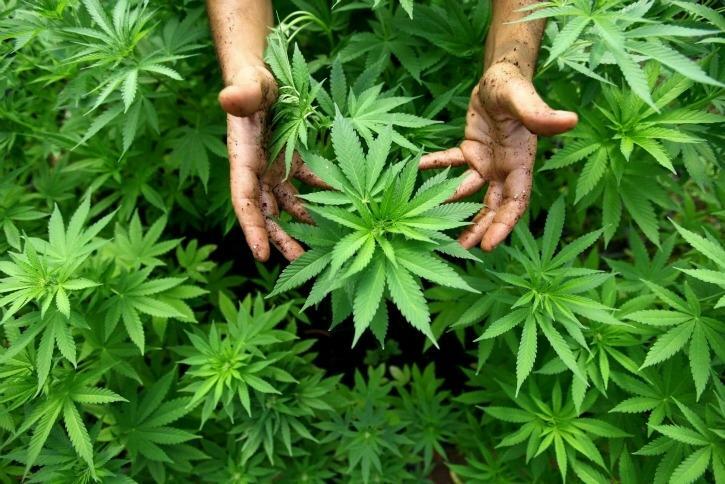 As far as governance is concerned, charities may be split as to the merits of having exposure to cannabis production in their portfolios depending on whether it is for recreational or medicinal use. But surely it would be difficult for charities to advocate putting pressure on the UK government to follow the example set in Canada? While cannabis may boost financial returns in a global portfolio, is a useful example as to why charities find ESG investing both confusing and difficult. The government’s newly issued Civil Society Strategy has been described by NCVO as “an encouraging start but government could do more”. Charitable money shouldn’t be left doing nothing (it’s a common complaint of ours), and if there are inactive charitable trusts they should be reactivated or closed to make sure the money does reach the intended beneficiaries. As we know, every charity has a defined area of activity that it exists to serve set out in their Objects clause, even inactive trusts. The job of the Charity Commission is to ensure those Trusts’ delivery of their purposes is properly fulfilled and to protect their assets from being expropriated to a new purpose (in this case, the grassroots community organisations). Trusts that are currently inactive should apply their money to their original purposes, and if not, to ones that are similar. If a benefactor had left their wealth to treat a particular medical condition, medicine should continue to be the beneficiary. We trust that the Charity Commission will continue to protect the chosen beneficiaries, and not allow their interests to be subverted for political gain. Who will support the Commission in that role? As the famous Juvenal quote reminds us Quis custodiet ipsos custodes? The answer is that only the law can protect the protectors, so we all need to be vigilant in how the law is used, even in this small example. At Yoke, we like to cycle to meetings. It keeps us fit and cuts our carbon footprint. While some say cycling in London or any city is dangerous, we manage the risks and take appropriate time between meetings, keeping within the law. The biggest risk on the road tends to be other cyclists or pedestrians, who do not appear to be aware of the rules of the road. We notice that it common for pedestrians at crossings wait for a bike to pass, when it is the person on foot’s right of way. 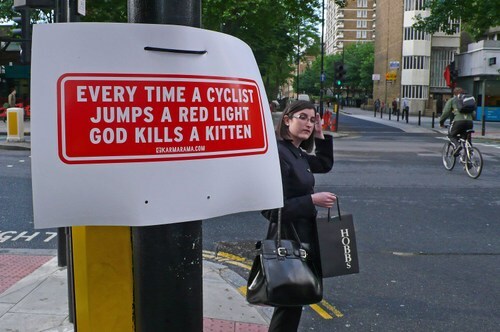 This is because many cyclists think they are in charge and ignore the highway code by crossing red lights and zebra crossings, so pedestrians are naturally confused and avoidable accidents can occur. An excellent recently published report entitled Time and Money highlights that charities who rely on investments to support their long-term mission can take advantage of their ability to make and spend more money and encourage good corporate behaviour. However, short-term thinking can get in the way. Trustees can unwittingly be blown off-course and when investing for the long-term. It is important that Trustees should be committed and ambitious, not complacent, continually attending to the proper management of their assets but never losing sight of the main charitable goal. Why do we link the poor pedestrian to a report about investment management for charities? In many cases an investment manager attends the charity meeting and for usually 30 minutes, they entertain client with stories from the market. Rarely does the charity engage. Like the pedestrian at the crossing who is used to the cyclist ruling the road, charities tend not to challenge. Charities must engage, not be entertained, when it comes to investment. They must understand the risks and investment objectives. While the manager can advise, it is the charity that is in control and they must have the confidence to remind themselves of what they want from these assets, assess whether or not they are getting what they want, and if not, decide what action to take. Investment managers should also encourage their clients to be engaged by basing their presentation of how well they are fulfilling the mandate they have been given against the benchmark the charity has set. Fabulous tales of the far east and what’s going on in the Silicon Valley is simply entertainment and adds very little to the Trustees’ understanding of whether they are achieving their long term goals. Like the pedestrian, trustees need to enforce their right and be in control of where they are going to avoid unnecessary accidents. Yoke Financial Consultants Limited is an Appointed Representative of Thistledown Investment Management, a firm which is Authorised and Regulated by the Financial Conduct Authority (FCA No. 510041). Information on these pages is intended for general use and is not to be considered specific investment advice.